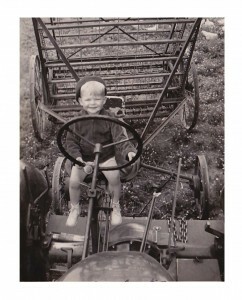 For some, the love of things that go "vroom" starts at a very young age. I’d expected to see Tony Swan looking frail and subdued. He had, after all, just gone through the latest in a seemingly endless series of chemotherapy sessions, never mind surgeries. But things were as lively as ever at the Ypsilanti home he shared with wife Mary Seelhorst as I arrived for the annual holiday party. No question, Tony had been to hell, but he was back, and he had transformed the detritus of his chemo treatments, bags, tubes, rack and all, into a mad take on a Christmas tree. 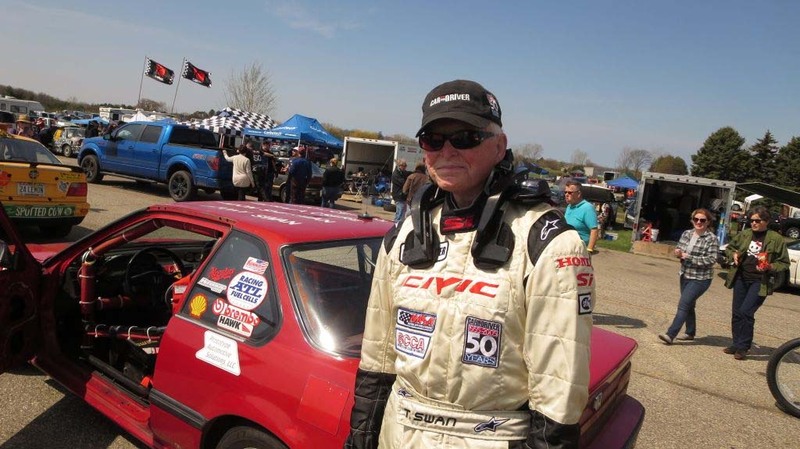 Whether on track or behind the keyboard, Tony Swan maintained a zest for life and a passion for automobiles in every shape and form until almost the very moment he passed on last night. Indeed, he had gone on several media events over the last couple months, and attended a nearby Concours just a few weeks ago. “Drive fast. Take chances.” It was a clever coin of a phrase, but it was also one Tony lived by. Given the chance to do just one thing with his life, he’d probably have chosen racing, he would admit on occasion. Even after age and illness made it increasingly difficult to maintain the pace of his addiction he continued on a slower scale, partnering with friends and former colleagues on the LeMons circuit, championing vehicles that wouldn’t even have qualified for rent-a-wreck status. Tony wrote for an enviable list of automotive and mainstream publications and even ran a few. Luckily for all of us, Tony didn’t have to choose just one vocation. We might never have heard or read his reviews and features. With the same eye for detail and an uncanny ability to learn by the seat of his pants, he crafted some of the finest works to grace the pages of publications as far afield as Car and Driver, Better Homes and Gardens and the New York Times. Never one to suffer fools lightly, Tony could be gruff and his questions at a news conference were “very much more challenging” than the typical automotive scribe, recalled Dan Johnston, who spent several decades as a PR “flack” for Volvo. Tony was quick to speak his mind, something that didn’t always play well, particularly in the world of publishing. 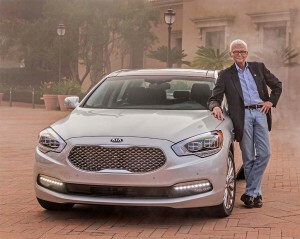 But if one boss was offended there was another editor or publisher more than willing to sign him up, especially among the highly competitive automotive “buff books.” Over the years he eventually could claim credits at Autoweek, Motor Trend – where he spent six years as executive editor – and C&D. Like many from the publishing establishment, Tony was, at first, a bit baffled by the evolving digital world but eventually wound up writing for a slew of online publications, such as New Car Test Drive, and even launched his own website which, with his typically wry sense of humor, he dubbed SwanDrives.com. 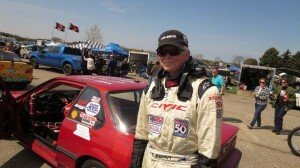 Even as he started losing the battle with cancer, Tony Swan was still out on the race circuit. By the time he reached college, Tony decided to combine his two passions. Getting a degree from the University of Minnesota, he landed a job at the paper on the other side of the Mississippi, the St. Paul Pioneer Press, where he served as a sports writer. But it didn’t take him long to head out for big city. In this case, Detroit, where he would spend most of the rest of his life. Definitely better to be testing a cop car than to watch one coming up in your rearview mirror. Tony’s legacy will live on in a number of ways, among other things as a founding member of the North American Car and Truck of the Year jury. With 60 journalists from across the U.S. and Canada it remains one of the automotive world’s premier awards program. 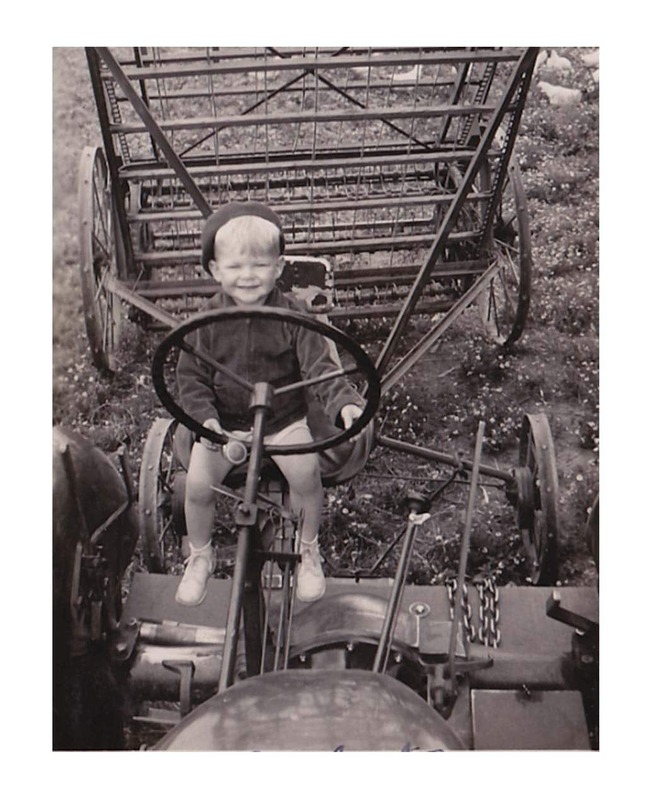 In the final third of his life, Tony discovered a secret weapon, Mary Seelhorst, a women whom he – and pretty much everyone in his life – regularly credited with helping yank out from under the hood a much softer side of his personality. She remained by his side during a long-running battle with cancer that took its physical toll but never seemed to impact Tony’s psyche. To the end, one of the few things he would complain about was having been left off an invite list for some new car preview. Tony Swan died on September 28, 2018 at the age of 78. He left behind wife Mary, as well as his son Austin, daughter Hillary, and six grandchildren. This entry was posted on Friday, September 28th, 2018 at and is filed under Personalities, Racers. You can follow any responses to this entry through the RSS 2.0 feed. Both comments and pings are currently closed. Over the past 30 years I looked forward to catching up with Tony every January in Detroit for NAIAS and Automotive World Congress. Tony kept all us ‘scribes’ honest, concise and accurate. R.I.P. Tony and sincere condolences to Mary, his children, grandchildren and extended automotive family.